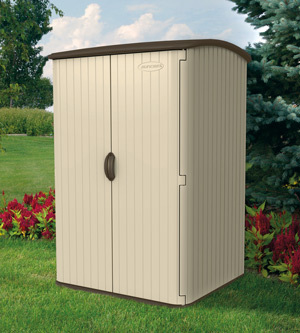 Suncast Corporation is a world leader in the design and manufacture of high-quality and durable outdoor storage solutions including sheds and deck boxes. Established in 1984 with origins dating back to 1953, Suncast is a vertically-integrated business with design, engineering, manufacture and distribution, based in Batavia, Illinois. Sold globally, Suncast products are synonymous with strength, style and security. Suncast use the highest quality resin on the market, are packed with practical features, and use strong quality fittings and accessories. Suncast products do not rust or rot and resist denting. Suncast resin sheds and deck boxes are great looking storage solutions available in a wide range of styles designed with clean lines in neutral colours to suit all gardens and outdoor areas. They are a real quality alternative to traditional steel and timber products. Suncast deck boxes are secure with all sheds including moulded floors and shed most able to be securely locked with padlocks. They are a great way to keep whatever you need to store outdoors safe, secure and dry in the most stylish way possible. As market leader in high-quality resin products made in the USA for over 30 years, Suncast believe the perfect space is the one that fits your needs. Master Distributors is the exclusive distributor of Suncast products in Australia and New Zealand, and have enjoyed building the brand in these markets for several years. Find out more by visiting www.suncastsheds.com.au or call 03-9538-9200.